If you're looking for an affordable, yet good quality waterproof Bluetooth speaker, then you came to the right place. 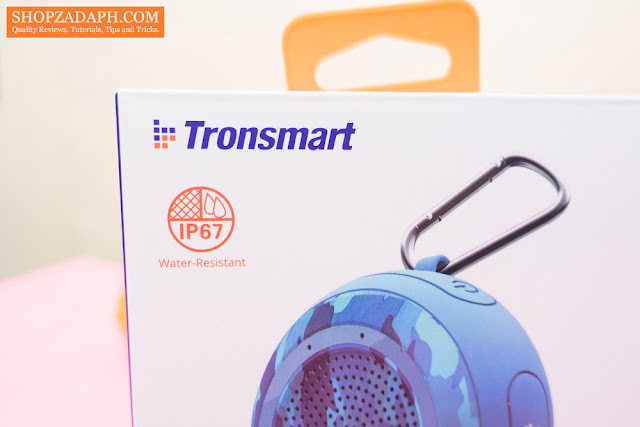 Today, we are going to take a look at the Tronsmart Element Splash IP67 Waterproof Bluetooth Speaker. 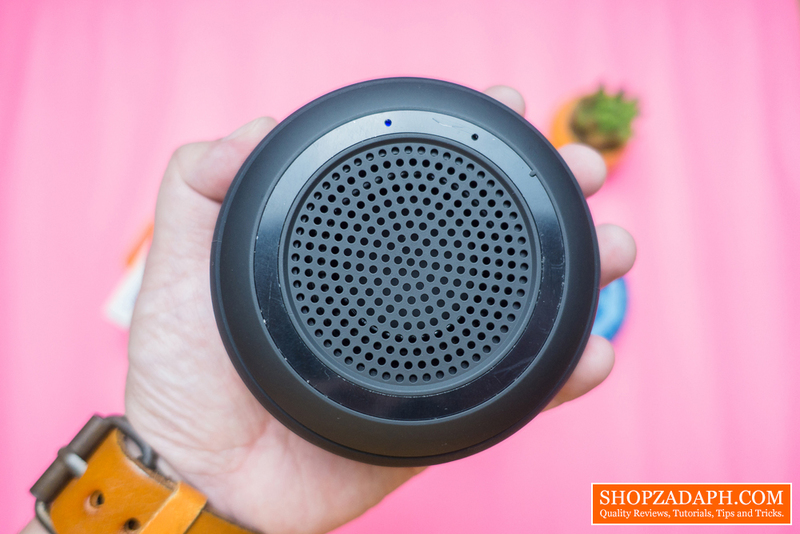 Last month I released my review of the Tronsmart Element T2 Bluetooth Speaker and it literally blew my mind in terms of how powerful it is in such a small form factor, now, let see how its little brother(s) holds up with an even more smaller footprint. 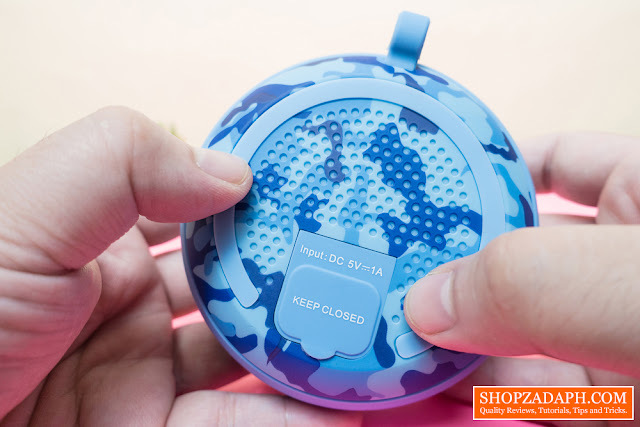 In terms of design, we have two variants here, one is this nice blue camouflage design that we don't see very often, but is a very well appreciated option. The other one is this matte black for those who like it simple and discreet. In terms of construction, both are solidly built made of hard plastic material with rubber coating on the side. 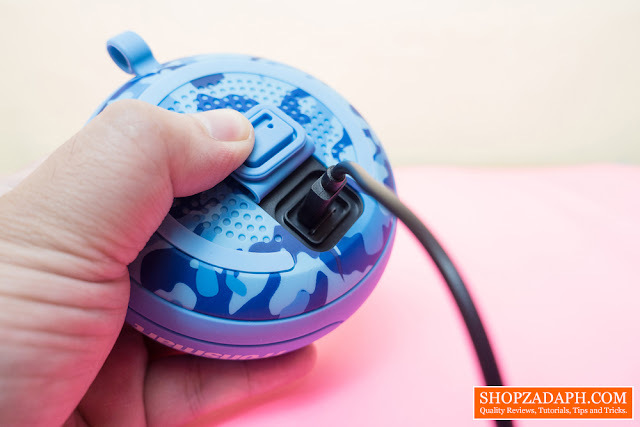 It also has a nice weight to it partnered with a rubber lining at the bottom to keep it in place during vibration while playing music. Both of these weighs roughly around 207g with a diameter of 10cm. 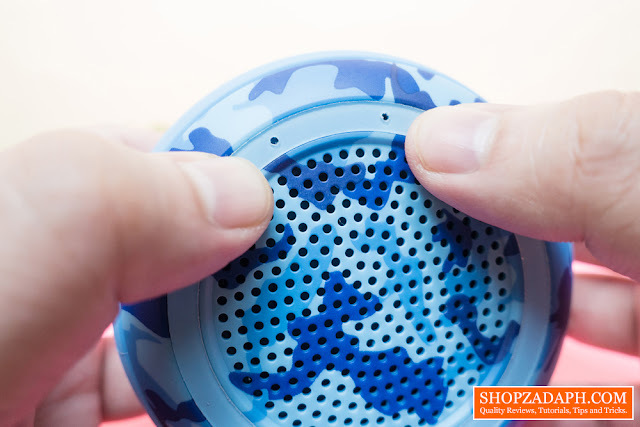 In front, we have the hard plastic camouflage design as well as a hard plastic speaker grill at the center. We also have here in front the LED indicator for power and connectivity as well as the built-in microphone. All these buttons although covered with rubber has a nice tactile feedback when pressed. At the other side, we have the tronsmart logo. At the back, we have the rubber lining that I've mentioned, and the ports that are protected by a rubber cover for waterproofing. Inside the cover, we have the microSD card slot for instant media playback straight from your memory card and of course, the micro USB port for charging. 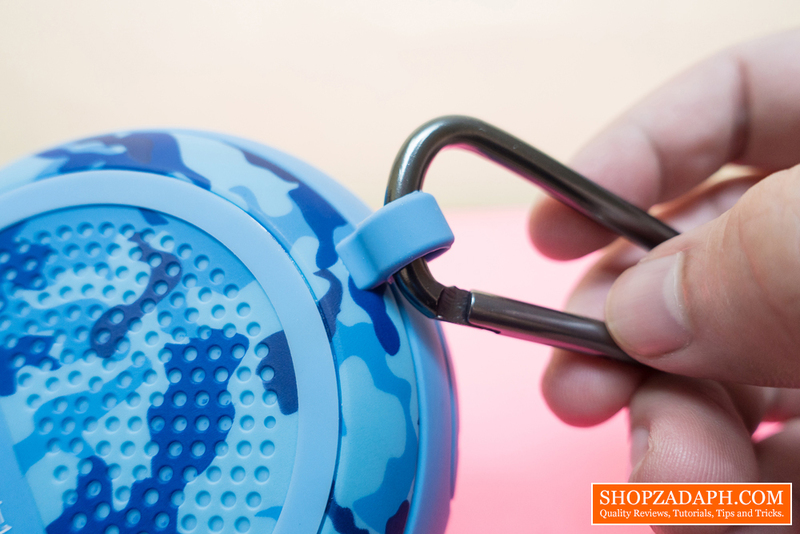 And lastly, at the top, we also have a rubber loop wherein you can attach the included carabiner so that you can bring this along with you anywhere. Just like the Tronsmart Element T2, pairing the Tronsmart Element Splash to your device is pretty straightforward. Just power on the speaker by pushing the power button for three seconds and it will automatically go to pairing mode. Depending on your device, once you turn on the Bluetooth, it should detect the Tronsmart Element Splash and ask for permission to pair, accept it and you're good to go. In terms of Bluetooth connectivity, as per my testing, it's just fine with a clear line of sight but I noticed some choppiness when being blocked by something like a door or a wall. But in reality, you're probably going to use this outdoors, so that wouldn't be much of a problem. 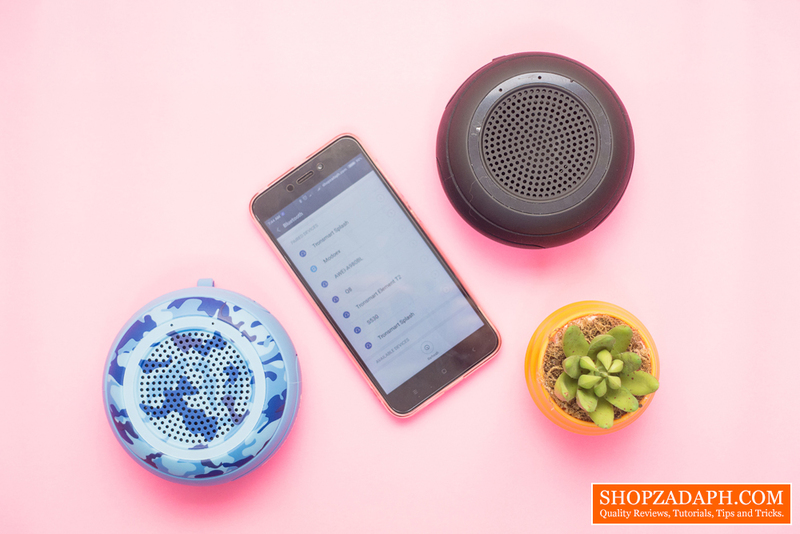 One of the main features of Tronsmart Speakers is that they support TWS or True Wireless Stereo mode. Basically, you can use two TWS compatible Bluetooth speakers, pair them together to work in stereo mode. 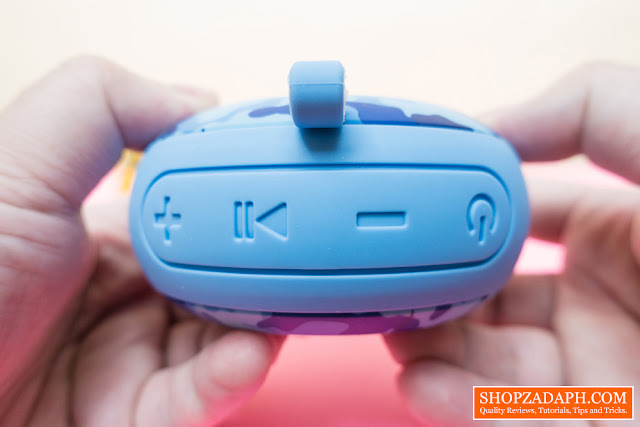 I was able to experience that with these two Tronsmart Element Splash and it's actually effective, more immersive and powerful. 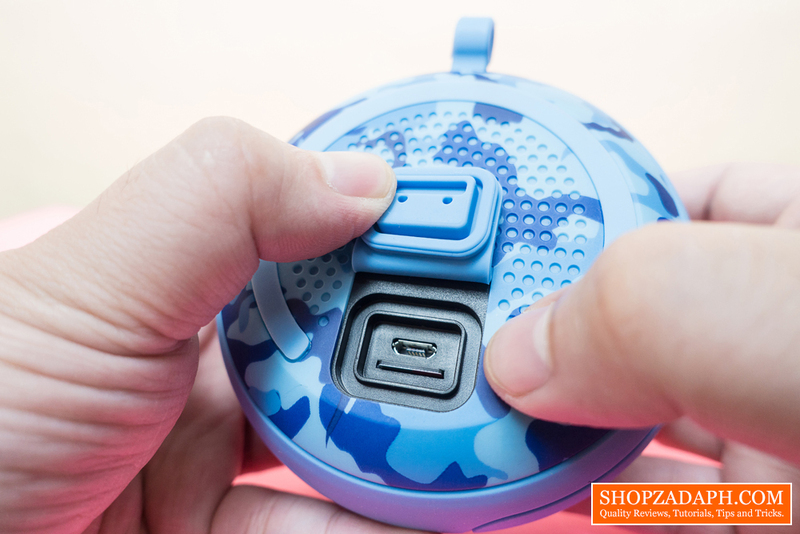 To enter TWS mode, all you have to do is first power on both Tronsmart Element Splash. 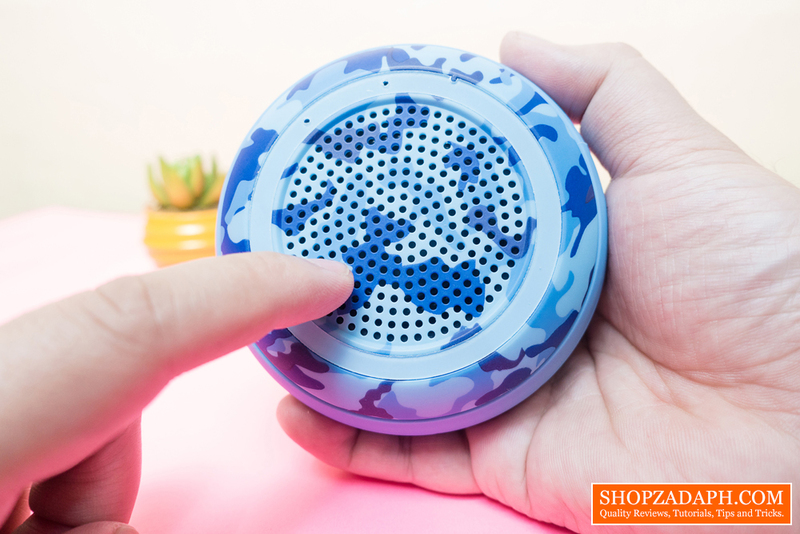 Initially, your device will detect two speakers and you have to pair them together, to do that, you just need to double click on the power button on one of the speakers and both of them will pair together and will show up on your device list as one. 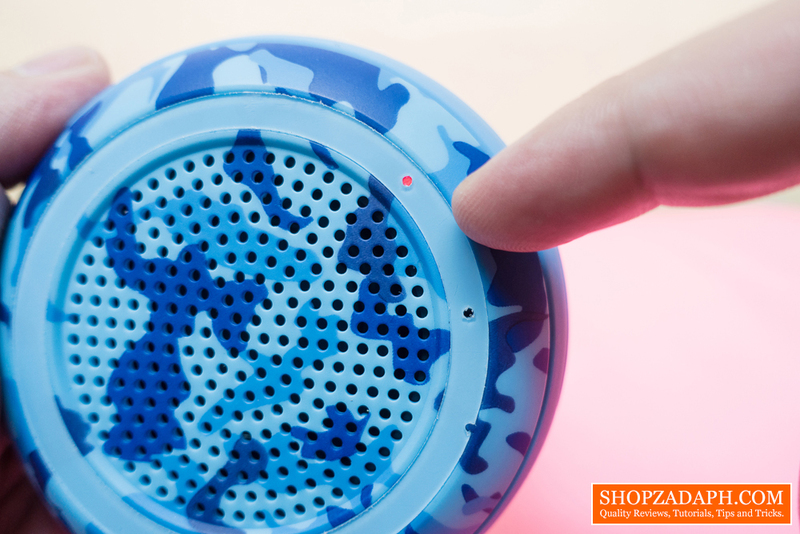 Pair it and you're now ready to listen to your music on both speakers in stereo mode. 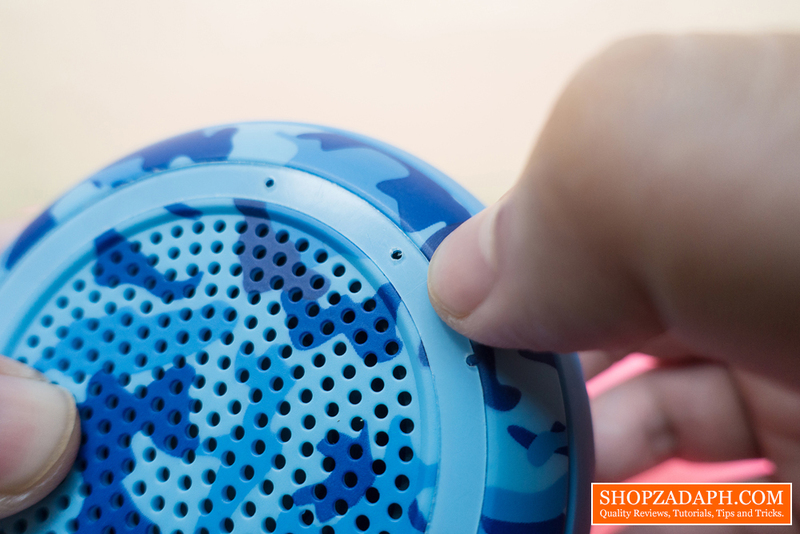 We have no complaints when it comes to the built-in microphone, it does its job quite well for casual communications. My wife said that my voice was clear and hers was actually crispy as well on this speaker. But in terms of compatibility of the controls, as per my testing, the play/pause button doesn't work well on facebook call. But for a regular phone call, the play/pause button works for answering and rejecting calls. 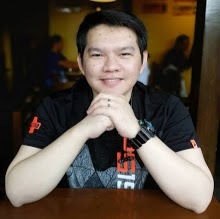 In terms of battery life, as per Tronsmart's official specifications, it can last up to 10 hours working time, and that, of course, depends on many factors such as volume level and quality of the connection. As per my testing, it lasted for about 8 hours on continuous music playback for around 60%-70% volume or 3-4 clicks below max while being connected to my laptop. When the battery is almost depleted the LED will start to flash. 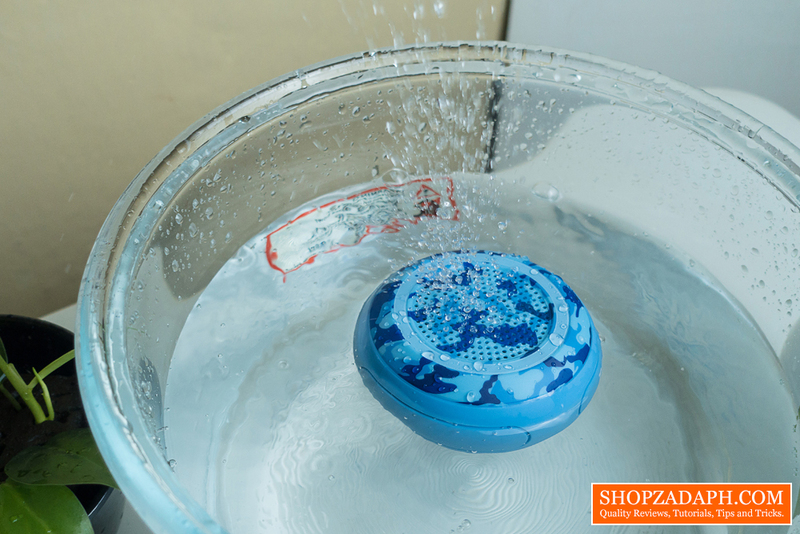 The Tronsmart Element Splash can be charged using a 5V/1A wall charger or a power bank. As per Tronsmart's official specifications, charging time would be around 2 hours. In my testing, I was able to fully charge it for around 2.5 hours. The LED indicator will turn red while charging and will turn off once it's fully charged. The Tronsmart Element Splash is rated IP67, which means it is protected from dust and can be splashed with water as well as being submerged up to 1m. Take note though that the sound will be a little bit muffled while being splashed and submerged in water, but once it's fully dried off again the sound quality will be back to normal. 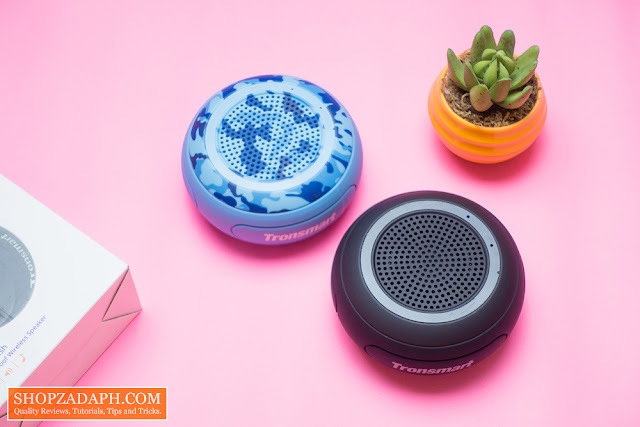 When it comes to sound quality, which is probably at the top of your priority when looking for a speaker, the Tronsmart Element Splash is actually very decent for its size. It's capable of producing recognizable mids and highs and the bass is definitely abundant but not too much that it muffles everything else. It can get pretty loud but it tends to cramp up at higher volume depending on the type of music you're listening to, my personal choice is around 60-70% volume for a more comfortable listening experience. 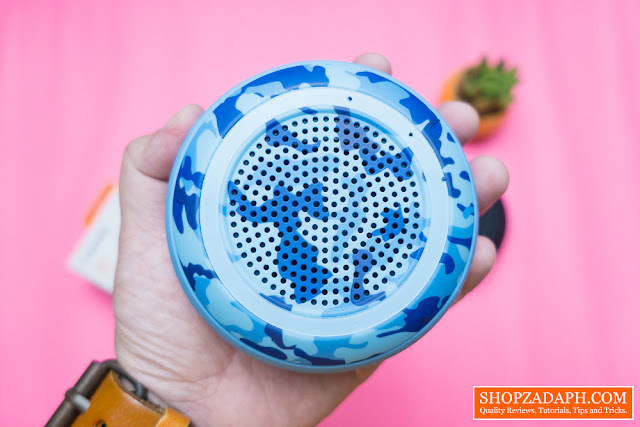 When paired together as one for the TWS mode, the sound quality is obviously better, more immersive and can fill a room without any problem. 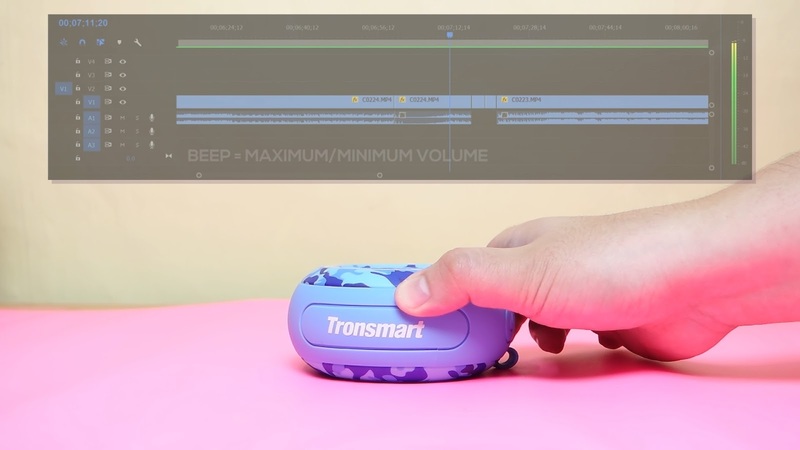 If you want to listen to a comprehensive sound test for the Tronsmart Element Splash, head down below for the video review version. Will I Recommend This!? Yes! To conclude, at its current price of just a thousand pesos or 18US dollars, you'll be hard pressed to get something better than this, considering the features, the small form factor, and the overall sound quality. Yes, you can probably get something cheaper than this but you're definitely not getting the same quality materials the tronsmart element splash has. The only thing I miss on this is a 3.5mm aux port, other than that I think this is a really good value for your money. 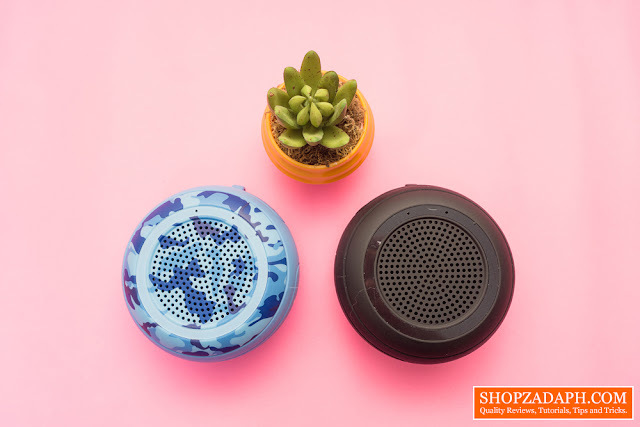 This is also a good option as a gift to your special someone, imagine having one for the both of you, and when you get together for a date, Netflix and chill or something like that, you can listen to both your speakers in True Wireless Stereo mode and enjoy the experience. 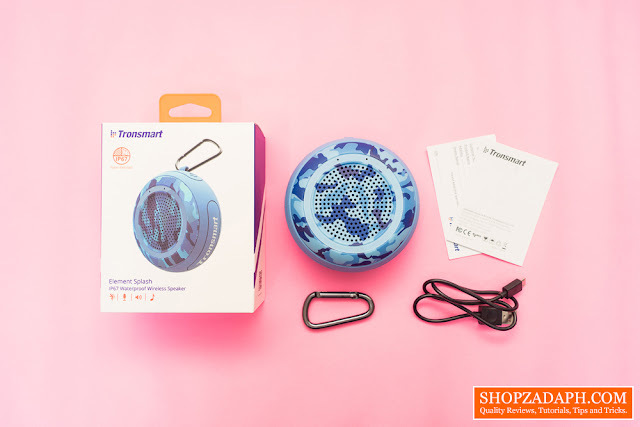 Thanks to Tronsmart for making this review possible, you can get this Bluetooth speaker from their official store on Lazada, link below.